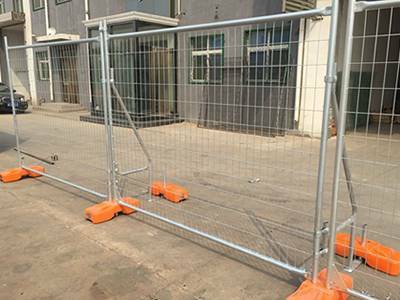 Movable and portable welded wire temporary panels provide a temporary solution for construction sites, events, pedestrian and vehicular safety and crowd control or other applications where posts are not to be driven into the ground. The temporary panels sit above ground are clamped together for a rigid fence. Easy clamp installation saves your time and money. Aperture: 50 × 50, 75 × 75, 75 × 100, 60 × 150, 55 × 100 mm. Width: 2400, 2600, 2900 and 3100 mm. Height: 1800 and 2100 mm. Post diameter: 26, 32, 40, 42, 48 mm. Finish: hot-dip galvanized and vinyl-coated. Color: silver, black, green, yellow or custom. Easy installation save time and labor. Easy to storage and transport. High visible yellow barrier for safety. Swing gates, panel base and clamp supplied. 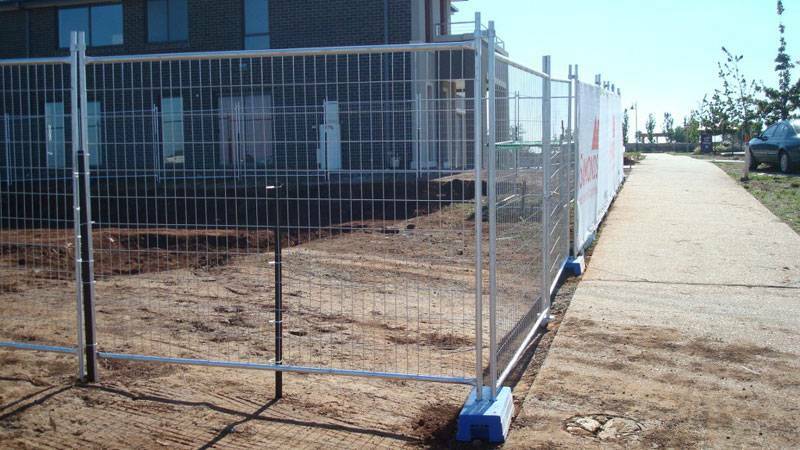 TFP-02: Construction site barrier fence.